The Club Veterinary Surgeon examined Go Lucy Go and no illness was detected. 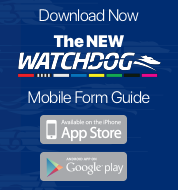 The greyhound was a late scratching at 11:52am due to weight variation GAR (39). A 10 day stand down period was imposed. Trainer Mrs D. Churchill was fined the sum of $100. 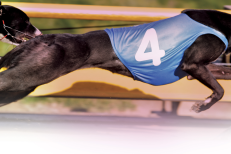 Ms T Kennedy Harris reprisentative of Maximum Zoe declared a new weight of 27.6kgs for the greyhound in accordance with GAR 39(2). Maximum Zoe last raced at 28.7kgs. Hopeful was quick to begin. Angie and Maximum Zoe were slow to begin. Yuken Win and On Degoey collided approaching the first turn. Stealthy Flight, On Degoey and Maximum Zoe collided on the first turn checking Stealthy Flight. Angie and Maximum Zoe collided on the first turn checking Yuken Win. Angie and maximum Zoe collided approaching the home turn. A post-race sample was taken from Hopeful - winner of the event.